Bridget Ross holds a Bachelor of Commerce degree from the University of Alberta (1987). 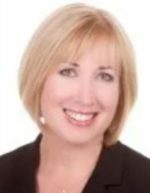 Over the years, she has kept pace with the evolving marketplace via numerous leadership, diversity, innovation and enterprise management courses and programs over the years. Bridget has served as a Health Sector Advisory Council Member (2010-11) at Duke University, served on the Board at Inspire Medical Systems, Inc. (2013-14), and was a general session panelist at the Health Industry Distribution Association Chicago Conference in 2017. As a leader, Bridget Ross strongly values empowering others. On the local level, she works to strengthen her own team through implementation of workplace health and wellness concepts. She has volunteered her time to benefit disadvantaged communities. In the past, she has worked with Somerville Women’s Shelter and the Palo Alto Shelter. Globally, she accomplishes her goal of empowerment through international community work. In 2008, she was part of a group that partnered with SOS Children’s Villages International. This partnership took root in New Delhi, India, where, along with twenty-four colleagues, Ross helped bring fresh water to a community of orphaned children and their caretakers. Continuing with her goal of empowerment, Bridget Ross is an active participant in various women’s leadership conferences. She has attended the Watermark Conference for Women and the Fortune Most Powerful Women Summit. In 2016, she spoke at Watermark, drawing on her own experiences as a leader while offering advice to budding executives. 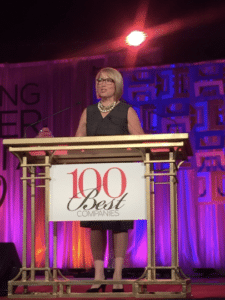 In 2019, Bridget Ross was welcomed to the C200 Executive Women’s Organization, an organization founded in 1982 to enrich the advancement of women executives. She is proud to be recognized by the global organization whose values parallel her own. A strong supporter of women leaders, she hopes that being a member of C200 Executive Women’s Organization will solidify her efforts to inspire women who are already corporate leaders, or are aspiring to be so. Professionally, and personally, teams thrive when each member is valued. That’s why inclusivity is the cornerstone of my approach to leadership. Natasha Stokes of JLL Real Views expresses a similar view in her article How Flexible Workspaces Can Tackle Loneliness in the Office.